Kanrich Finance Ltd., has a spectacular existence spanning over 47 years in the Sri Lankan finance sector, has relocated its Matale branch to new premises and commences with gold loan services. Ensuring to serve their customers in a finer way they continuously attempt to deliver a unique service experience and it is with this intention that Kanrich Finance Matale has been relocated to its new premises to Trincomalee Street, Matale. The Matale Service Center has been relocated at a more convenient location to secure the service offered by their staff to serve their valuable customers more efficiently and effectively. This ceremonial opening was graced by Dr. W. M. Hemachandra, Chairman of Kanrich Finance Ltd, Pradeep Basnayake, Deputy General Manager, Sarath Thilakarathne, Assistant General Manager Gold Loans, Sureka Senavirathna, Zone Head. 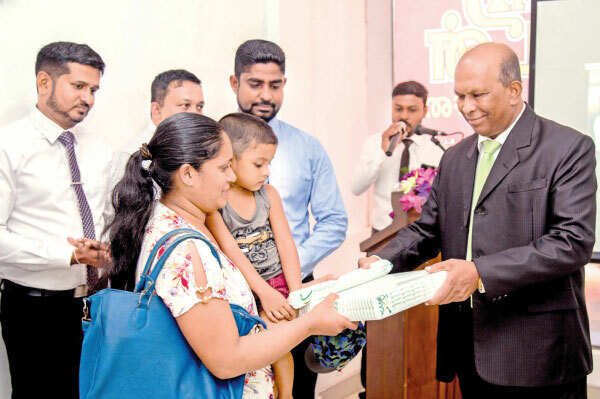 During the speech of Amila Ambagala, Manager Matale Service Center, declared that the team of Kanrich Matale Service Center will extend their fullest support cooperatively work alongside the residents of Matale in bringing their dreams closer to their lives. Taking their services to another level and further initiating their long-standing reputation as a reliable and trusted financial service provider, Kanrich Matale Service Center commences the gold loan services for the Matale community. Further, vehicle leasing facilities, micro finance facilities for cottage industries and small holders Welanda Warama & Saviya loan schemes for entrepreneurs are some of the services that is offered by Kanrich Matale Service Center. As a licensed financial institute listed under the Central Bank of Sri Lanka. Kanrich Finance has repeatedly proven their market stronghold and trusted excellence. Kanrich Finance invites you to experience their unparalleled excellence of financial solutions that turns your dreams to reality.